This book is for everyone who wants to start, operate or grow their network marketing business. It provides 104 brief discussions organized into sections on: self-improvement; communicating; family issues; mastering your vision; getting the right work done; coping with fear, risk and crisis; learning and teaching; exerting influence and getting cooperation; and doing business from home or a store. This guide simplifies the terminology and methodology of Six Sigma to make the process accessible and applicable to any small business; teaches the basics of Six Sigma and walks you through a implementation; helps you improve quality and efficiency. Network marketing is perhaps the most controversial concept of wealth creation. It generates strong emotions and frustration. 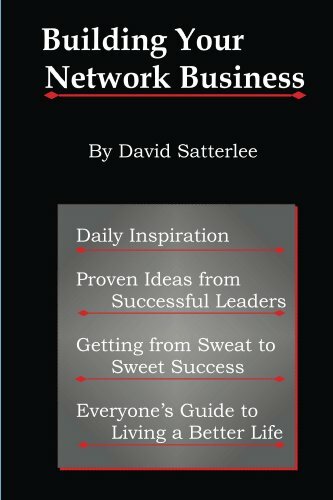 This book will restore your shattered dreams by giving you the correct information about network marketing. There is no such thing in Nature as chance, accident, or uncaused lack. Everything in Nature operates in accordance with LAW. The Law of Financial Success explains how to apply the energy so you may achieve all you desire.